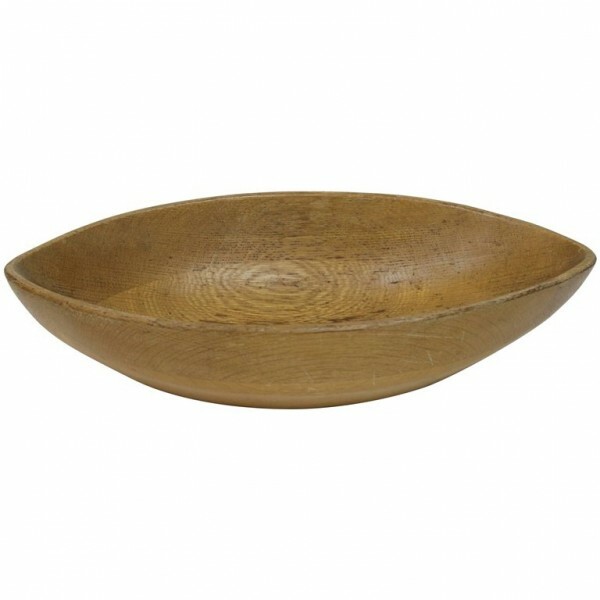 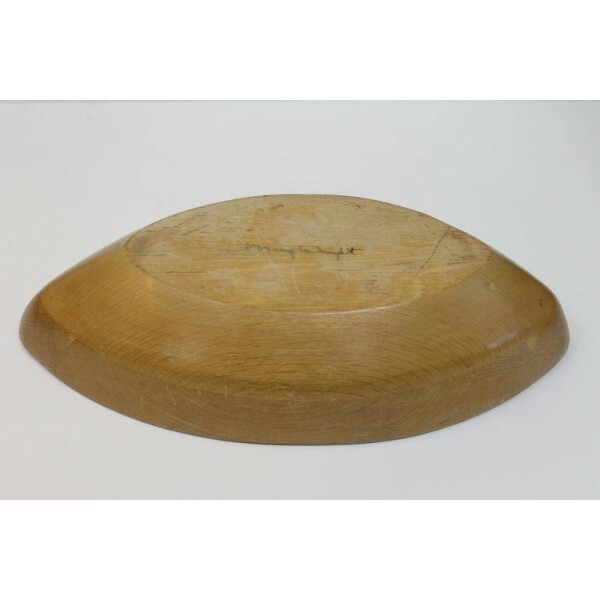 Serving bowl shaped like a football designed by Mary Wright. 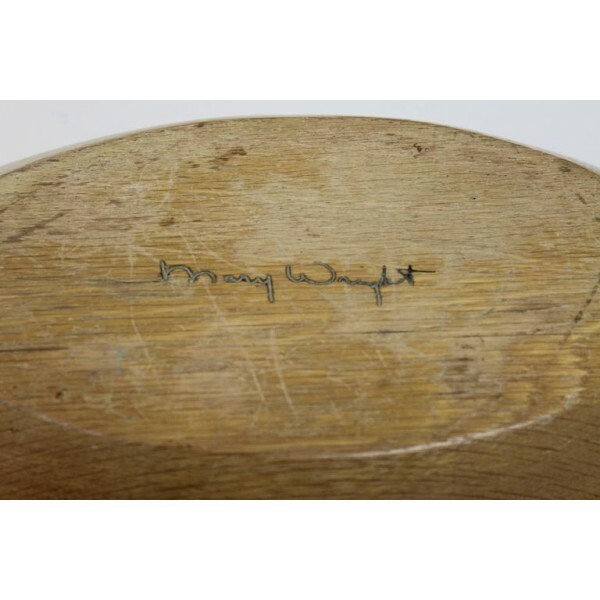 Part of a wood line designed by husband and wife Industrial designers Russel Wright / Mary Wright. 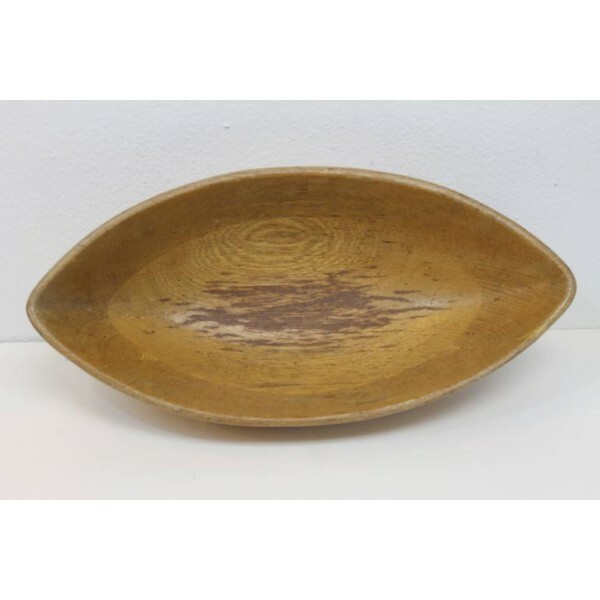 Measures 15.75" wide, 7.5" deep and 3.5" high.